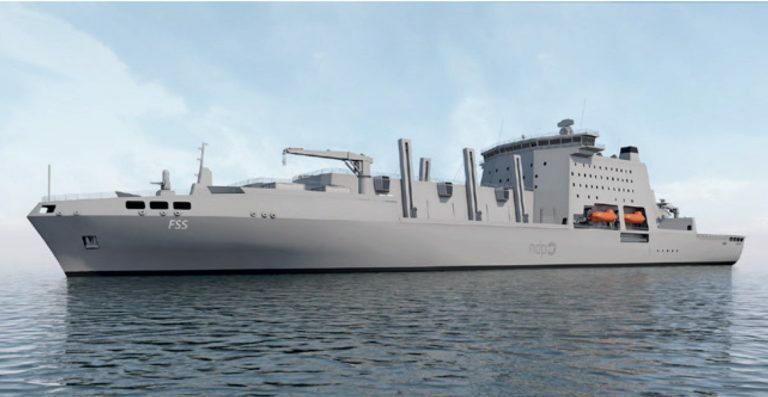 Birkenhead based shipyard Cammell Laird says it is delighted to have been shortlisted, as part of a syndicate of British firms, to compete to build three Fleet Solid Support ships for the UK Ministry of Defence worth an estimated £1billion. Defence Minister Stuart Andrew announced the shortlist and the British consortium is made up of Cammell Laird, Babcock, BAE Systems and Rolls-Royce. They join Italian firm Fincantieri, Spanish company Navantia, Japan Marine United Corporation, and Daewoo Shipbuilding and Marine Engineering of South Korea as the five successful firms who have been invited to submit a tender for the competition. The Government is expected to name the winning bid in 2020 with work starting in 2021/22.